Snug, comforting and quaint, The English Restaurant has been independently run by Kay and Peter Sinden since 2001. 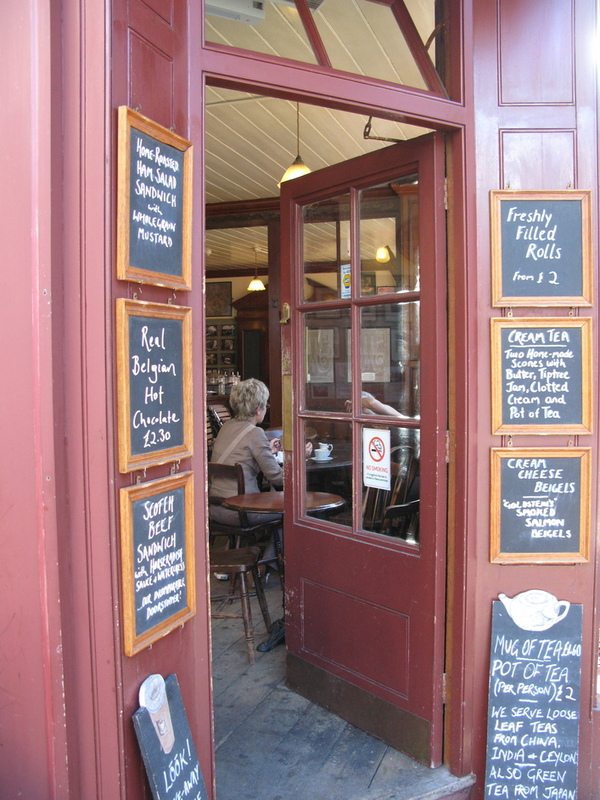 A local's favourite, it was originally known as the Market Coffee House, and continues to be a hub of the Spitalfields community. Painted a warm, russet brown on the outside and lined inside with varying layers of wood on the inside, it creates a safe and snug haven for customers escaping the bustle of the City. Gently creaking to the sound of weathered floorboards, old rickety tables and chairs and wooden slats, time in here seems to fade away. All the traditional English staples buttered crumpets, homemade cakes, hot chocolate, ginger beer - designed to warm up the frostiest of insides, are on offer here in abundance. A battered radio broadcasts the soothing sounds of Radio 4, while newspapers cover the tables. This calming retreat offers the best in old-fashioned English caf culture. Perched on a corner street near the vibrant Old Spitalfields Market it can get busy at the weekend but is still worth paying a visit if youre in the area maybe after a hectic rummage at the market. The English Restaurant gyms, sporting activities, health & beauty and fitness. The best pubs near London The English Restaurant. The English Restaurant clubs, bars, cabaret nights, casinos and interesting nightlife. Where to have your meeting, conference, exhibition, private dining or training course near The English Restaurant. From cheap budget accommodation to luxury 5 star hotels see our deals for The English Restaurant hotels, including Ace Hotel London Shoreditch from 84% off.